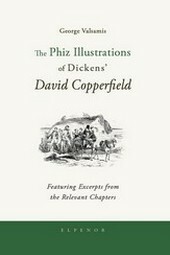 The humorous scenes in "David Copperfield "
Dispite of the moving and miserable life of David based on Dickens's childhood , there are some enjoyable descriptions in the novel . Here are some examples below . The scene at the inn where the waiter eats David's dinner, the night of revelry when David becomes drunk and falls down the stairs , the preposterous Micawber boarding the ship with a telescope unter his arm --- all are peices of good fun . So it is easy to understand one of the great popularity beyond time and among every levels ( from the younger to the senior ). I would appreciate if you could give me another humorous scenes you noticed . Personally my favorite humorous part is when Aunt Betsey tells Miss Murdstone "Let me see you ride a donkey over my green again, and as sure as you have a head upon your shoulders, I'll knock your bonnet off, and tread upon it!" I haven't gotten as far as you though...I'm at Chapter 17...so I can't wait to see David falling down drunk. I understand the reason why what you mentioned is your favorite humorous part . I hope you see the scene of David's falling down someday soon . Anyway , there are a good different wonderful , impressing descriptions Dickens show us in the novel . I'm looking forward to your next mail . "I took another turn across the room, full of love for my pretty wife, and distracted by self-accusatory inclinations to knock my head against the door." 2) 'I thought you were at Plymouth, ma'am,' I said to Mrs. Micawber, as he went out. 'To be on the spot,' I hinted. 3) When we were all in a bustle outside the door, I found that Mr. Peggotty was prepared with an old shoe, which was to be thrown after us for luck, and which he offered to Mrs. Gummidge for that purpose. Regarding the scene where DC's Aunt tells off the Murdstones, I guess I could see how someone would find that humorous, although myself, I found it more cathartic than anything else. I think Dickens used her to say how he himself felt about the Murdstones. It was certainly one of the climatic scenes so far. Contrarily, the scene that made me tear up was when David's mother was laid to rest with the baby in her arms. I was supposed to read this in 6th grade, but I didn't. I liked reading but I prefered Fantasy and Sci-Fi. Now I'm in my 30's and I'm finally reading and enjoying this. It was happy for you to find a few humorous parts of David Copperfield . I understand your notes about it so much . In addition to it , with the last sentence you mention , it is ofen the case with books we have read before . Sometimes we become favorite one we didn't like , sometimes we get to dislike my favorite we read before . I think it is partly because we have had a good experience of life as we grew old , which brings us way of thinking different from that of younger days . As for me , it is wonder to be greatly fond of Henry James's works still now , though my impression on them has been changing a little bit compared with the prvious ones . Everytime I read James'books , I appriciate how much his writing-style is excellent as a craftsman . Does anyone like any books of his ? I hope your message about Henry James . strange, I never found anything humerous in the book, maybe that is my personalty, being hardheated, but i find the book quite sad actually. By the way I'm new, live in the US, born quite far from there, just signed up. Greetings Armchairhero, I'm new too, live in the US also. My favorite humor part is, like most, when Betsy Trotwood takes on the Murdstones and I also like the bit where David visits Uriah and Littimer in prison and listens to them go on and on about how changed they are, then reamrks that they're still the same detestable beings.